SALT LAKE CITY, Utah — The Republican governor of Utah has signed into a law a bill that requires abortionists to administer anesthesia to unborn babies so that they cannot feel pain as they are being murdered. As previously reported, S.B. 234, which applies to babies five months in gestation or older, was authored by Sen. Curt Bramble, R-Provo. “A physician who performs an abortion of an unborn child who is at least 20 weeks gestational age shall administer an anesthetic or analgesic to eliminate or alleviate organic pain to the unborn child caused by the particular method of abortion to be employed,” it reads. Bramble’s legislation is based on studies that state babies can feel pain at 20 weeks gestation, although some opine that it is sooner. The most common abortion method at 20 weeks is dilation and extraction (D&E), where the child is removed piece by piece, and his or her body parts are laid onto a tray and reassembled to ensure that every bit of the baby was extracted. Earlier this month, the Utah Senate voted 19-5 in favor of Bramble’s bill, moving it on to the House where it also passed 57-10. Abortion advocates have decried the measure. But abortion abolitionists have also decried the move, stating that it is absurd for pro-lifers to permit the murder of unborn children as long as the babies are drugged before they are killed. As previously reported, Gov. Gary Herbert has stated that he is personally opposed to abortion, but that if the practice is considered legal in America, it should be carried out as “humanely” as possible. 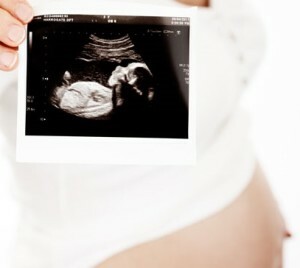 Nearly 60 million children have been murdered in the womb since the 1973 U.S. Supreme Court ruling of Roe v. Wade.